And the First pancake problem. First pancakes often turn out weird. Bad. Annoying and fit only for the bin. I learnt that many years ago. 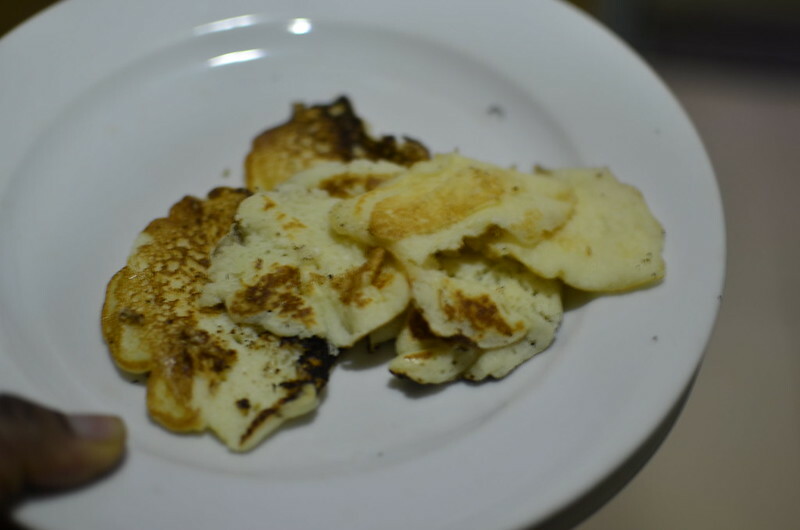 If you think you’re the only one prone to bad first pancakes, well…you aren’t. The internet is littered with complaints and tales of composting first pancakes. Google has about 30,600,000 results produced in a mere 0.43 seconds. This people is a global problem, from Lagos to LA. I’ve been fine for the last year or two till recently when I decided to use my crepe pan which had been in some box or the other. And then I remembered ‘The First Pancake’ problem. Truth is, we ought to think of the first pancake as that which wets the ground ahead of planting season and prepares it for the harvest to come. Use a non-stick pan (versus stainless steel). Heat the pan for two to three minutes on medium to low heat before adding any grease – oil/ butter. Spread grease on lightly and let heat up. Spoon/ pour on pancake batter. Allow cook on medium to low heat. 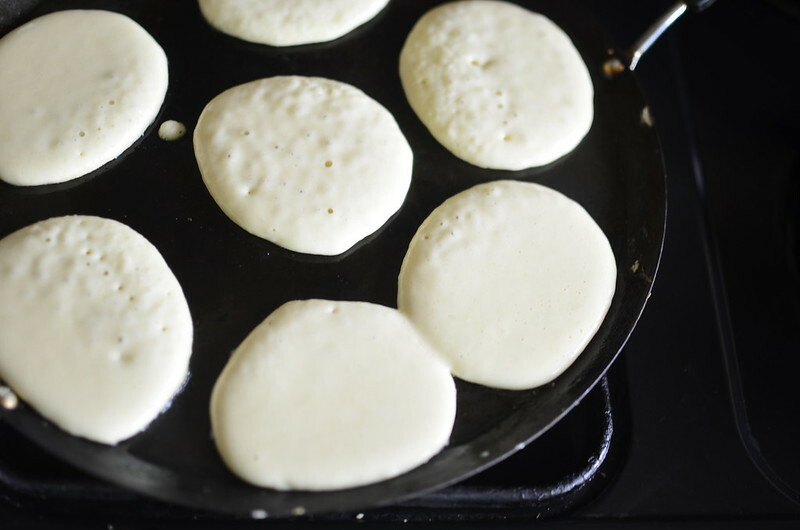 Don’t flip pancakes till you see the bubbles coming up and the edges begin to dry up. 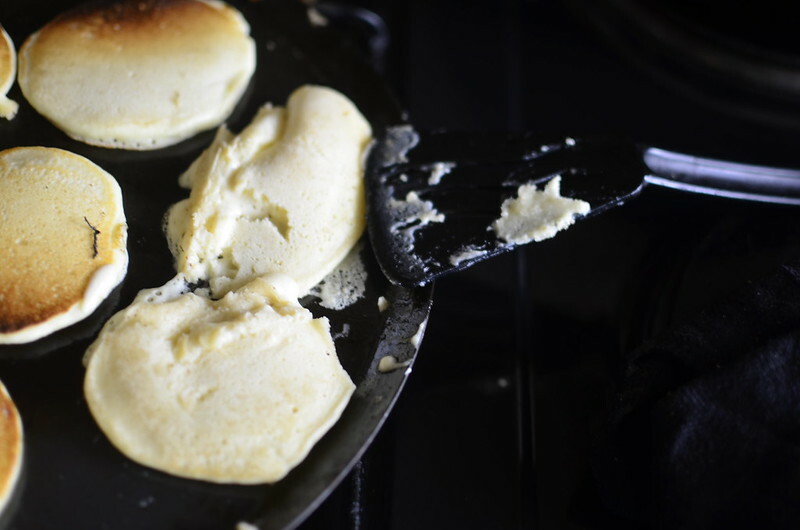 Using a spatula or fish slice, gently loosen pancakes and then flip. I must tell you the truth though, that even with these precautions and care, your first pancakes may still end up ‘unpretty’ if tasty. Oh well, c’est la vie. 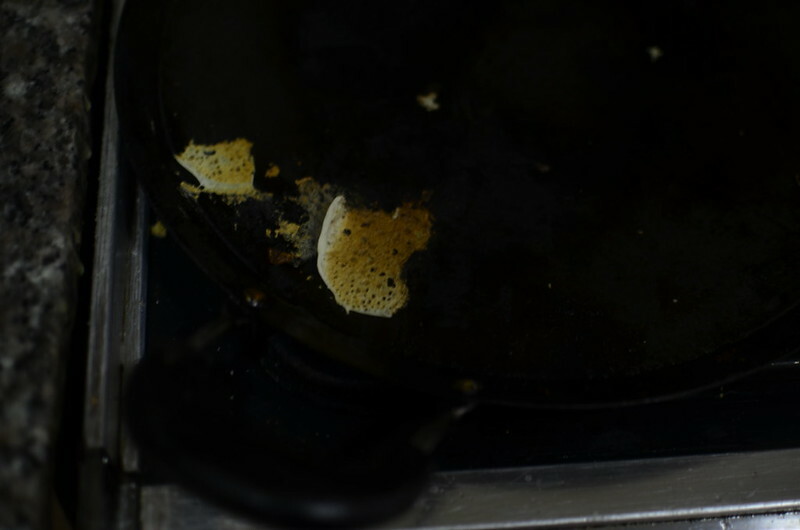 The pan may become ‘crusted’ with the vestiges of where the first pancake(s) lay. I say, forge on, scrape the pan clean and start take two. Don’t focus too much if they go awry, batch two will be much better.